Last Thursday saw Anglian Home Improvement’s Melanie McDonald meet the judges of this years Britain in Bloom. The meeting took place to establish a criteria for judging the 77 finalists beautiful towns and villages across the country. The training took place for the RHS judges at the Angel Hotel in Bury St Edmunds to ensure all judges are aware of the requirements needed to win this competition and how to mark each place. The judging takes place in the first two weeks of August where pairs of judges cover the length and breadth of the country to visit and judge all 77 finalists. The 2011 awards will then be given out at a lavish ceremony in St. Andrews, Scotland later in September. 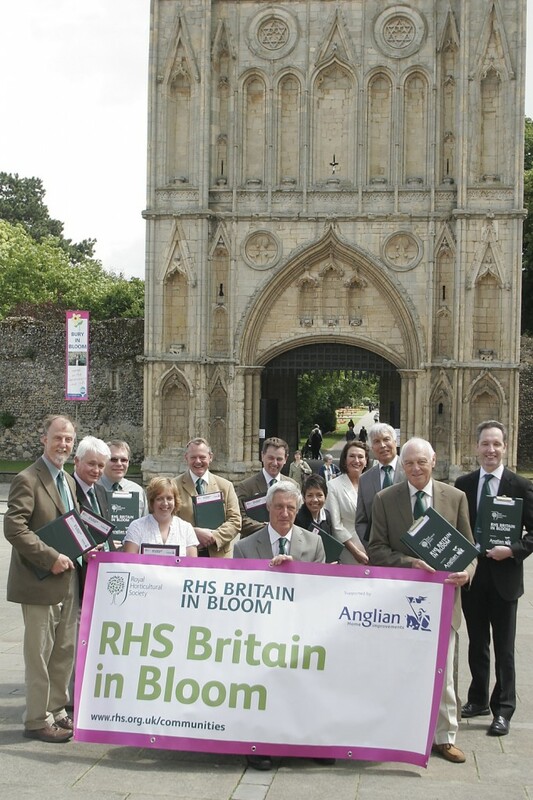 Anglian Home Improvements sponsoring this years Britain in Bloom. Visit the Anglian website for information on our conservatories.